Nobody told me it was “Drug an invertebrate week.” But not only has a story of lobsters getting pot rather than going into pots made the round, now we have octopuses getting another recreational human drug. The story, according to headlines, is that giving ecstasy (MDMA) to octopuses makes them act more socially. And everyone’s comparing octopuses to ecstasy fueled partygoers at a rave. It’s a nice narrative, but there isn’t enough evidence to conclude that. That’s a problem. Octopuses hunt prey by enveloping them with their web and tentacles — effectively “hugging” them, if you will. Being eaten is rather different than cuddling. The authors provide no videos in the paper, just two still images (below), so you can’t see the behaviour in detail. The sample size for the behavioural experiments is 4 or 5, as far as I can see. That’s tiny. It’s worth noting that the behavioural changes were not always the same. In addition, pilot studies in 3 animals indicated that higher submersion doses of MDMA (ranging from 10-400 mg/Kg) induced severe behavioral changes (e.g., hyper or depressed ventilation, traveling color waves across the skin or blanching, as well as catatonia or hyper-arousal/vigilance) and these animals were excluded from further analysis. Dose-dependent responses are not at all unusual, but again, it makes the simple story of “MDMA means social” more complicated. 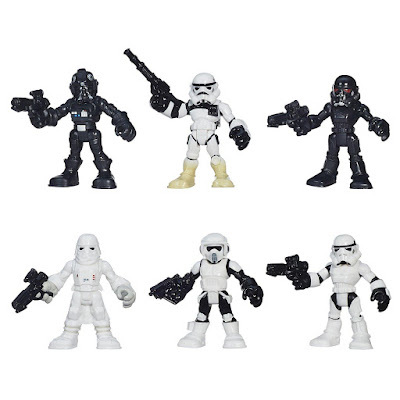 Novel objects consisted of multiple configurations of 4 objects: 1) plastic orchid pot with red weight, 2) plastic bottle with green weight, 3) Galactic Heroes ‘Stormtrooper’ figurine, and 4) Galactic Heroes ‘Chewbacca’ figurine. The paper is interesting, but it’s not getting attention from popular press because it’s particularly informative about the evolution of social behaviour. It’s getting attention because of the novelty of giving drugs to animals, and the “Oh look, animals are like us!” narrative. Additional, 24 September 2018: Another interpretive problem. Normally, in an interview on CBC’s Quirk and Quarks, Gul Dolen notes octopuses overcome their asocial behaviours for mating. Dolen cites this as reason to think that there could be a way to “switch” the octopuses’ behaviour using a drug. So mating behaviour is the natural “social” mode for these animals. But the octopus under the basket was always male, because the researchers found octopuses avoided males more than females. 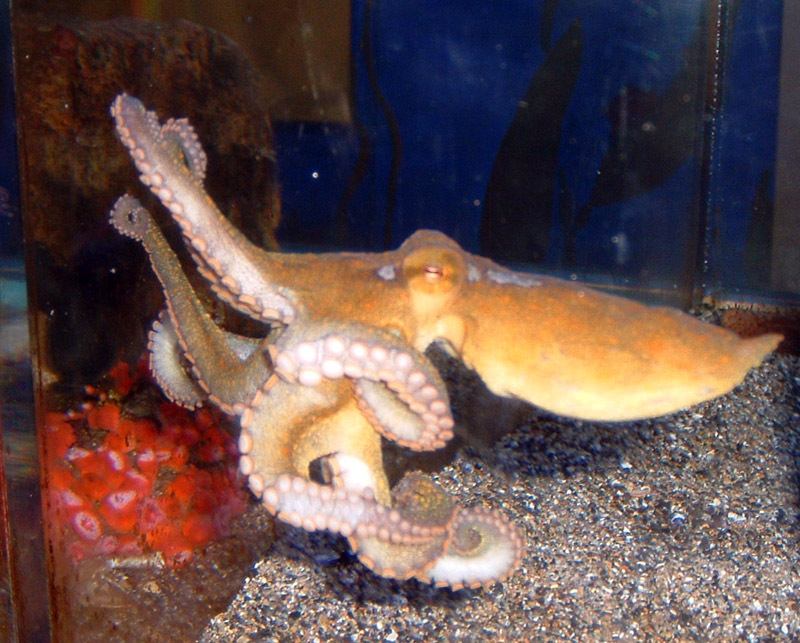 Three of the four octopuses tested were male. (I had to dig into the supplemental information for that.) So most of the observations were male-male behaviour. I don’t know that homosexual behaviour has ever been documented in octopuses. A quick Google Scholar search found nothing. This is problematic. This suggests the behaviours in the paper are deeply underdocumented at best. And it seems to be done on purpose, because it doesn’t fit the authors’ narrative. This, combined with the description of behaviours at different doses, it further suggests that rather than “prosocial” behaviour that the authors and headlines are pushing, the exposure to MDMA is making octopuses behave erratically, not socially. I’ve been studying issues roiling around the question of “Does it hurt lobsters when they go into a pot?” for about a decade. After ten years or so, you get a little jaded. I’m used to seeing the same bad arguments. I’m used to it popping up and making the rounds in news about twice a year. The first time this year was when Switzerland put laws into place about lobster handling. This is the second. 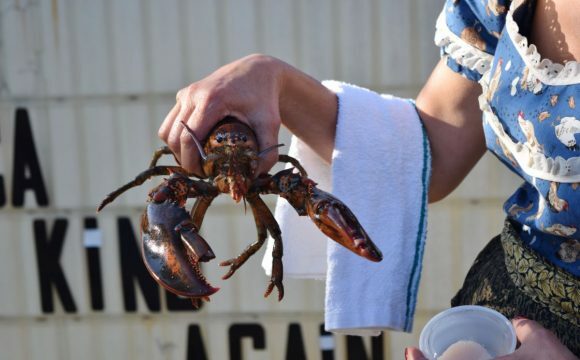 A Maine newspaper is reporting on a restaurant owner, Charlotte Gill, is sedating lobster with marijuana. I am pretty sure cannabis as a sedative not been the subject of any peer-reviewed scientific papers on crustacean anesthesia. But a quick Google Scholar search (thank you thank you thank you Google for this tool) shows that spiny lobsters and other invertebrates have cannabinoid receptors (McPartland et al. 2005). This makes the technique plausible on the face of it. The behavioural effects reported were interesting. Following the experiment, Roscoe’s (the experimental lobster - ZF) claw bands were removed and kept off for nearly three weeks. His mood seemed to have an impact on the other lobsters in the tank. He never again wielded his claws as weapons. I am surprised by the apparent duration of the effects. Weeks of behaviour change from a single treatment? That seems long compared to soporific effects of marijuana smoke in humans doesn’t seem to last multiple days. Earlier this week, Roscoe was returned to the ocean as a thank you for being the experimental crustacean. I’m not sure of the ethics of this. Will Roscoe the lobster, who has apparently forgotten how to use claws, going to become a quick meal for a predator? A lobster without claws in the ocean is just bait (Barshaw et al. 2003). Releasing Roscoe may doom him! I don’t know if she has anything but intuition to support that opinion. There’s research on electrical stunning, and the results so far are mixed. Fregin and Bickmeyer (2016) found shocks “do not mitigate the response to external stimuli,” but Neil (2012), Roth and Grimsbø (2016), and Weineck et al. (2018) found electric shocks seemed to knock down neural activity effectively. But the impression I get is that using shock is tricky: you need different protocols for different animals. It’s also worth noting that a new paper by Weineck et al. (2018) showed chilling was effective as an anesthetic, which the Swiss regulations forbade. Research I co-authored (Puri and Faulkes 2015) showed no evidence that crayfish responded to low temperature stimuli. Gill holds a medical marijuana caregiver license with the state and is using product she grows in order to guarantee its quality. This is interesting, but it’s not clear to me that this is a more cost effective or humane way to sedate a lobster than what many crustacean researchers have been doing for a long time: cooling on crushed ice. Hat tip to Mo Costandi. 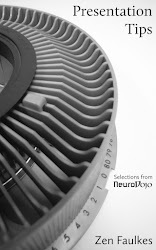 The Society for Neuroscience recently posted a short guide for publishing papers for early career researchers. It makes me grumpy. When people talk about “best” journals, this almost always ends up being code for Impact Factor. The article mentions these second. “Consider impact factors, but don’t obsess over the number. There are many excellent medical and biomedical specialty journals considered top tier in their fields that have relatively low impact factors. Don’t let the impact factor be your only data point when deciding where to send your paper.” This gives me another chance to point to articles about the problems of this measure, like this and this. It’s so flawed that authors should think about it as little as possible. “Look at the masthead. Are the people listed on the editorial team who you want reading your paper? Do they represent your target readership?” This is deeply unhelpful to new researchers. New researchers do not know the lay of the land and probably are not going to recognize most of the people on editorial boards. Recognizing that network takes time and experience. “Read the aims and scope. Does the journal’s focus align well with your submission?” Finally, a good piece of advice. I would have put this first, not fourth. “Do you and/or your university care whether you publish in open-access journals? Some institutions will put a high value on an open-access paper, so don’t underestimate the importance of this preference.” Again, probably unhelpful for early career researchers. Doctoral students and post-docs may very well change what institutions they are affiliated with, maybe multiple times. Who decides “Peer reviewed" in library records? I noticed something new in my library’s search results while searching the catalog. A librarian confirmed it that “peer reviewed” was not a status designated by the university, but could not tell me exactly where the determination came from. The icon shows up because there is a note in the item’s MARC record. MARC is a format for bibliographic data. (It’s MARC field 500, in case you’re curious). If I understand right, MARC records get created by many different entities. Those MARC shared to help standardize records across institutions. The entities who are populating those fields could include other universities, a network like OCLC (the nonprofit organization behind WorldCat), or the publishers themselves. I’m disturbed that information might be added by the publishers themselves, which have a conflict of interest. Of course publishers will want to say all their journals are peer reviewed. It’s the practically the bare minimum to be considered an academic journal. But many journals claim to be peer reviewed that are not. But what worries me most that that what is presented as a simple and authoritative “Yes / no” icon to university library patrons (mostly students) is added by a complex and unverifiable process. I­’m always trying to push students to think about how peer review related to credibility and trustworthiness. I often ask them, “How do you know a journal is peer reviewed?”, which often flummoxes them. As it should. Determining whether a journal is “real” (i.e., credible) to a research community is complex. If an institution librarian can’t say who is making a decision that a journal is peer reviewed or not, what hope do students have of critically assessing that information in the library catalog? The “Peer reviewed” icons in a university library record gives people a false sense of security. Additional: I learned that the particular example I used here, Brazilian Journal of Biology, is not given as peer-reviewed in Ulrich’s, used by University of Toronto. This was apparently part of a February 2018 update to Ex Libris. More additional: The “Open access” icon ignores that hybrid journals exist. I had been anticipating the chance to speak at the North Carolina Natural Sciences Museum for a good long while. 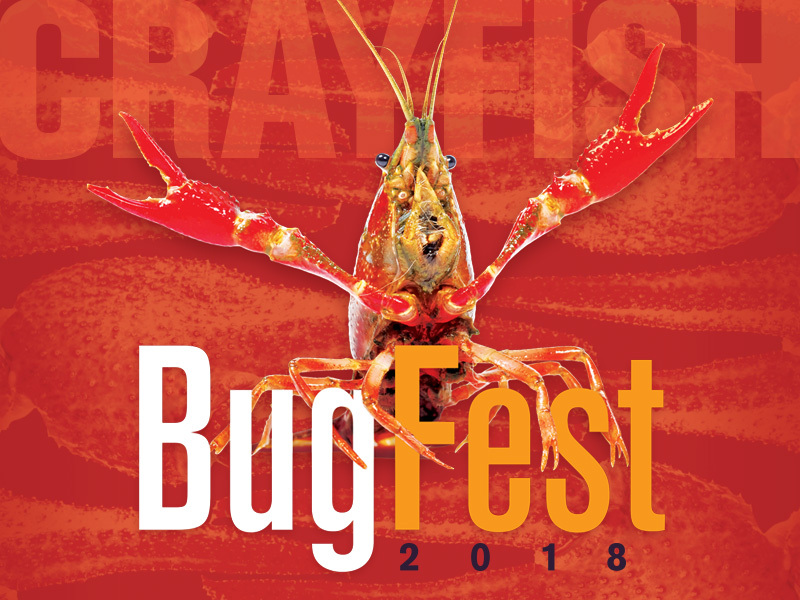 I’d been asked to speak at BugFest, one of their biggest events, which draws tens of thousands of people to the museum. 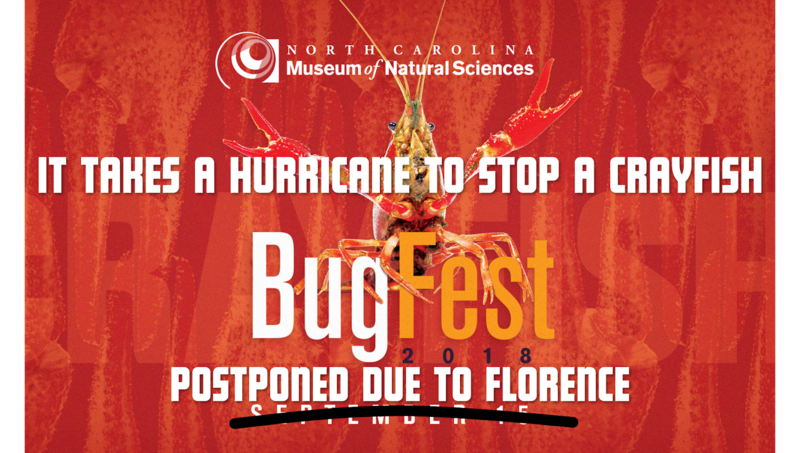 I’d been wanting a chance to go since I heard so much positive about the museum when Science Online was held in the area. When I went to Science Online, I missed the chance to go because my flight didn’t arrive on time. This Sunday, I started to get a sinking feeling as I watched weather forecasts and my Twitter timeline. 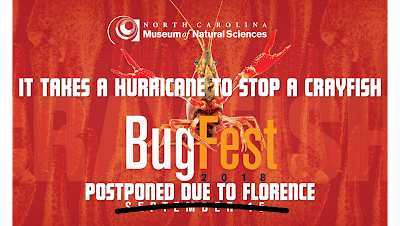 It’s hurricane season. 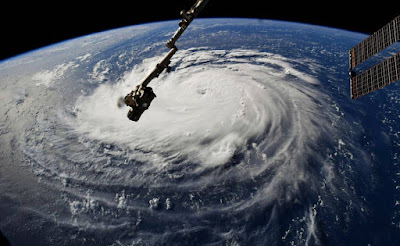 Models were starting to predict Hurricane Florence was heading straight for North Carolina.Now it looks like Florence is all but going to the doorstep of the Natural Sciences Museum and knock on the door when BugFest was supposed to happen. I emailed the organizers, got word that a decision would be made at the start of the week, and today I got word that the event was postponed. “Whew!” from me. I did not want to get on a plane and fly towards a major hurricane. I’ll come and talk science and crayfish after things have calmed down. 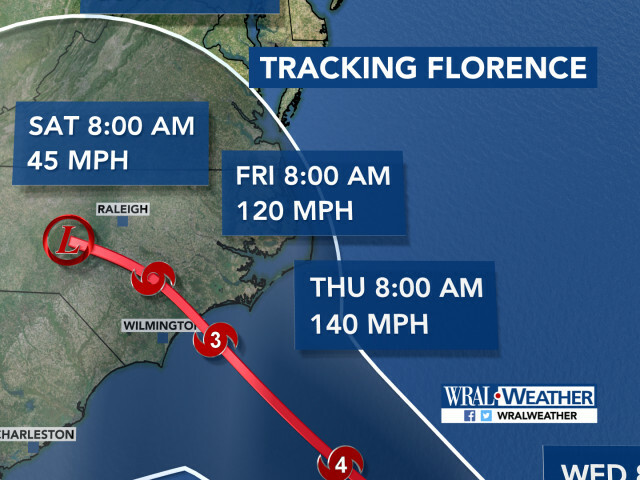 I hope everyone in North Carolina – those I know and those I don’t – can stay safe through Florence. It looks like it’s going to be very bad.